The Blinn College District is required under Internal Revenue Code Section 6050S to issue Form 1098-T for the purpose of determining a tax payer’s eligibility for various tax credits and/or deductions. IRS Publication 970, Tax Benefits for Education can provide additional information about a student’s educational tax benefits. The most current IRS Publication 970 was released for tax year 2017. The Blinn College District reports qualified tuition and educational expenses paid in a calendar year. In order to comply with FERPA regulations, Blinn cannot provide 1098-T information to parents or to tax preparers. Students can access their 1098-Ts from our 3rd party provider ECSI, and can pass them along as necessary. In tax year 2017 and in prior tax years, the Blinn College District reported qualified tuition and educational expenses in Box 2 of the 1098-T. Effective January 1, 2018, the Internal Revenue Service (IRS) is requiring colleges and universities to begin reporting what students paid to an educational institution. Payments made before January 1, 2018 for the Spring Semester of 2018 WILL NOT APPEAR on Form 1098-T for 2018. Those charges were billed in October, November or December for the Spring Semester of 2018, and were reported in Box 2 of the 2017 1098-T as a billed charge. Payments made before January 1, 2018, for the Spring Semester of 2018 cannot be reported in 2018. While the transition between reporting methods may be confusing, no information required to be reported has been lost or misreported during the change from reporting charges billed (reported in box 2) in 2017 to reporting payments for charges paid (reported in box 1) in 2018. Students who take courses for which no academic credit is offered, even if the student is otherwise entered in a degree program. Non-resident alien students; unless requested by the student. Students whose qualified tuition and related expenses are entirely waived or paid entirely with scholarships and/or grants. Students whose qualified tuition and related expenses are covered by a formal billing arrangement between Blinn and the student’s employer or a government agency, such as the Department of Veteran Affairs or the Department of Defense. 1098-Ts for tax year 2018 will be mailed by January 31, 2019. When 1098-Ts are released, they will be available and accessible through the Heartland ECSI web portal. Students who would like to access an electronic copy of their 1098-T statement, or who have questions about how to receive an electronic copy of their 1098-T statement should go to the Heartland ECSI website. 1. When you get to the ECSI webpage, click the "Tax Documents" icon, as pictured below. 2. Next, click the Search button, as pictured below. 3. Type Blinn College on the next screen and submit. If you require assistance at any time during this process, ECSI maintains a Live Chat feature that is easily accessible on the Heartland ESCI webpage. Heartland ECSI also maintains 1098-T files online for tax years 2006-2017. 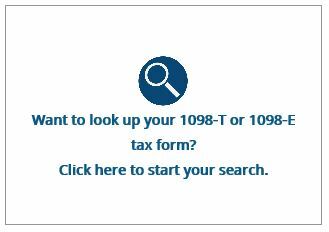 To obtain a 1098-T in this time, follow the same directions given above for obtaining a 2018 1098-T. 1098-Ts are not available for tax years prior to 2005; if you need assistance for one of these years, contact the Blinn Business Office for further details. 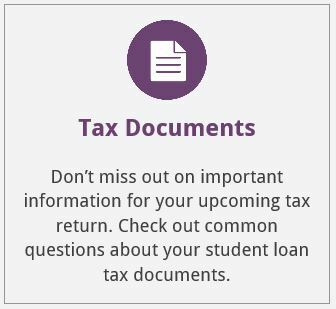 The Blinn College District does not provide assistance in the preparation of tax returns. Questions regarding the usage of 1098-Ts in a tax return need to be directed to the student’s tax preparer. Prior to 2018, Blinn reported qualified tuition and educational expenses BILLED for academic credit in a calendar year. Examples of qualified tuition and educational expenses are tuition, general fees, and course fees. Expenses that are NOT qualified educational expenses are dormitory charges, meal plans, vehicle registration fees, and parking tickets. For questions regarding Blinn’s 1098-Ts, contact Rebecca Marshall at rebecca.marshall@blinn.edu or 979-830-4287.